Make no mistake about it: The handbag is an empire builder for a fashion brand. Just when you thought it was safe to exit your house with your recent designer purchase, lo and behold, there’s the next collection of bags that demand your attention. 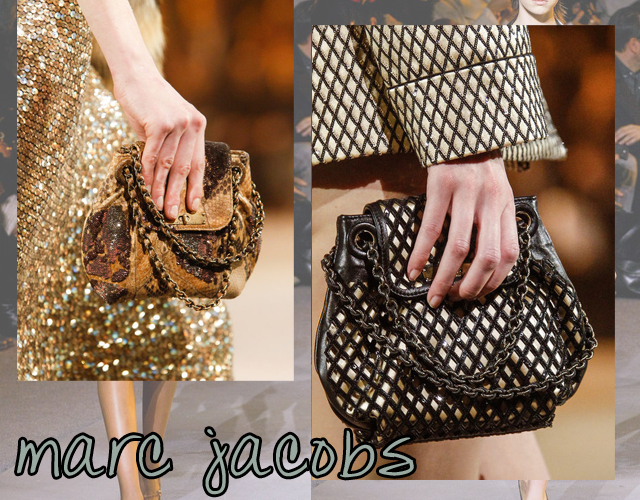 This past several seasons, handbags that were the fashion classics, were turned on their ear. The ‘new girls in town’ this past year’ were the envelope, structured box, Ladylike shoulder bags and re-invented Boho Bags in luxe materials. Feathered, stamped, ornate and encrusted or simply the molded minaudiere, the woman’s handbag is a critical item that drives brand loyalty, and a house of fashion to the heights of success or the brink of failure. If you are not “clutching” your bag this year, and simply “holding” a bag with straps, then you’re not getting the latest messages from the runways. Who knew, that the bag was so important? In short; the Bag, is the Brand, and the Brand is the Bag. Got it? 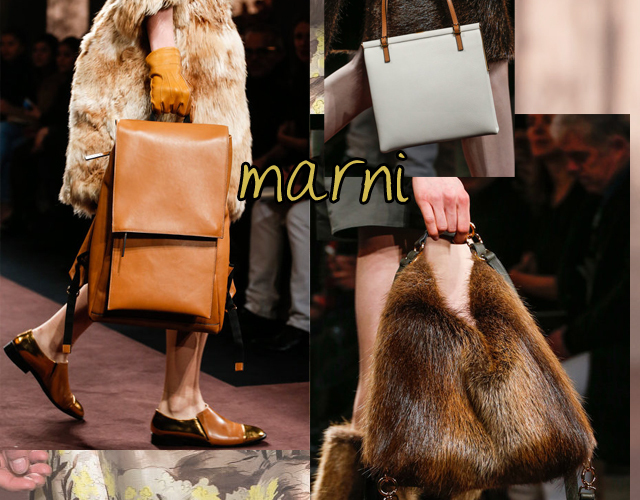 Here’s the recent collages from this Season’s Fall Line Up. 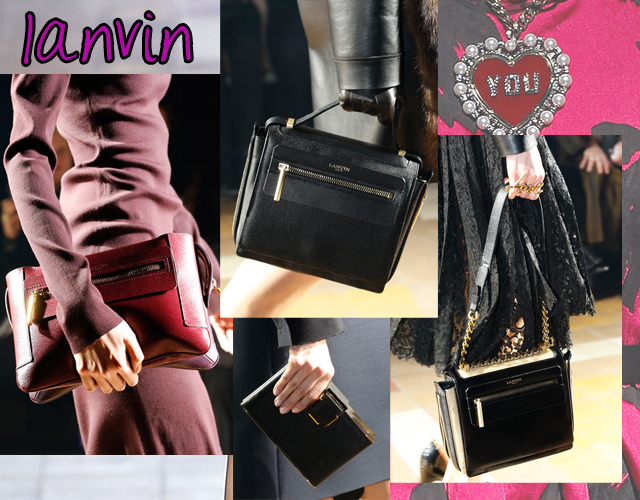 Editors: Our thanks to Fashionista.com for the Great Collages of Bags…captured on the Fall Runways in New York/Paris/Milan.